Happy Labor Day from PowerCloud!! Have a Safe, Wireless Weekend! Developed leveraging Xerox PARC’s deep expertise in human/computer interface and usable security, the CloudCommand Management Console (Console) provides access to traditionally complex network management functionality with surprising simplicity. The console provides end users with a centralized point for configuration and management of the network. From there, devices can be collectively managed and uniformly configured regardless of their physical location. A simple wizard guides the creation, configuration and deployment of new networks rapidly and efficiently; devices with CloudCommand technology do not need any onsite configuration. Once connected to an Internet-enabled LAN, the back-end interface offers our partners’ full visibility into all their customer deployments. This enables efficient customer support and provides performance and diagnostics tools, ticket management, licensing audit and logs review. Process oriented: The interface integrates naturally with all major business processes associated with networks. Simple: The interface offers high usability and ease of use for traditionally complex features and configurations. 3rd party extensible: It can visually integrate services provided by third parties such as online backup and content filtering. The CloudCommand Virtual Management Controller (VMC) supports multiple tiers of service with diverse combinations of features and functionalities, as well as role-based permission and functionality management. The VMC is provided via a SaaS model that delivers individualized hosting and tier-3 support services. Each of our partner operates on an unique instance that is completely segregated and customized both in UX and functionality. Hosting is provided via a public or private cloud with extensive options for horizontal and vertical scale, dynamic load distribution and balance, redundancy, fault tolerance, backup and security. Massively multi-tenant: Built on the most current Web 2.0 architecture, it achieves fully segregated, secure tenancy in massive scale. Fault tolerant: Multiple layers of redundancy and backup ensure the highest level of connectivity, service and performance. Scalable: Each independent partner instance is dynamically scalable horizontally, vertically and geographically. Tiered: The software’s flexibility allows partners to choose the best combination of features and pricing for their target markets and differentiation objectives. Secure: Database segregation, independent root CAs and TLS encryption deliver end-to end system security. Extensible: The technology integrates across environments and can leverage third-party web services. 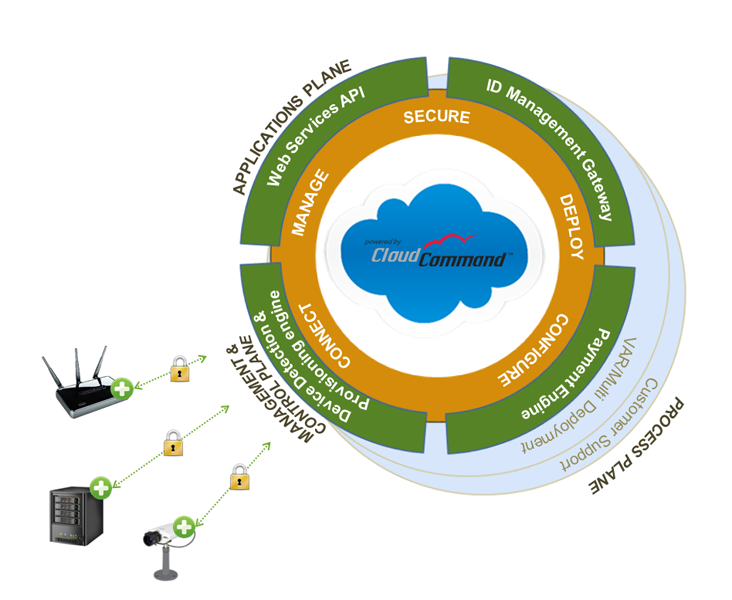 The CloudCommand Protocol is rapidly extensible to allow for CloudCommand to control a large variety of networking devices, from routers, wireless access points and switches to networked end-nodes such as smart-energy meters, surveillance cameras, refrigerators, TVs and even parking meters. Focusing on addressing the security and reliability challenges of cloud virtualized computing, the Protocol is secured via TLS asymmetric cryptography for privacy and a keyed message authentication code for reliability, leveraging 802.1x based authentication. It also utilizes a collaborative closed-loop mechanism to guarantee the consistency of its payload delivery process. This ensures a resilient and secure method for dependably controlling devices from the cloud without affecting the integrity of the host network. Secure: It leverages TLS crypto + 802.1x authentication. Thin: Almost insignificant amount of bandwidth is required. Reliable: CC_P utilizes a closed-loop command and control mechanism. Adaptive: It easily accommodates the requirements necessary to control different classes of devices. Our CloudCommand Agent (Agent) is responsible for CloudCommand’s the secure and reliable connectivity to the cloud and its “plug and connect” service. This allows for zero-touch deployment of devices in the field. 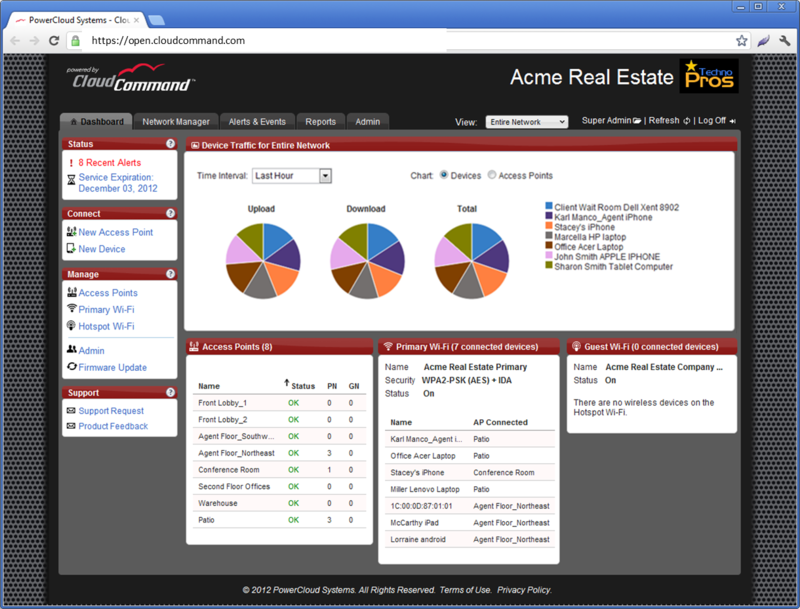 The Agent is seamlessly updated from the cloud either automatically or the click of a mouse. This provides each controlled device with incremental functionality without requiring firmware upgrades and allows OEM/ODMs to dynamically offer different levels of functionality and price for the same hardware. It also opens the possibility of third-party developers seamless integrating new functionality into CloudCommand-controlled devices. Applications can include Hotspot services for Wi-Fi, online backup for NAS, content filtering for routers/gateways or active alerting for security cameras. Architected to be incredibly simple to integrate into devices via a flexible layer of scripts, the Agent leverages patented technology developed at PARC, a XEROX company, to ensure to ensure a superior level of control reliability and communication security. Embedded security certification guarantees that all the management and control traffic to and from the VMC is encrypted. 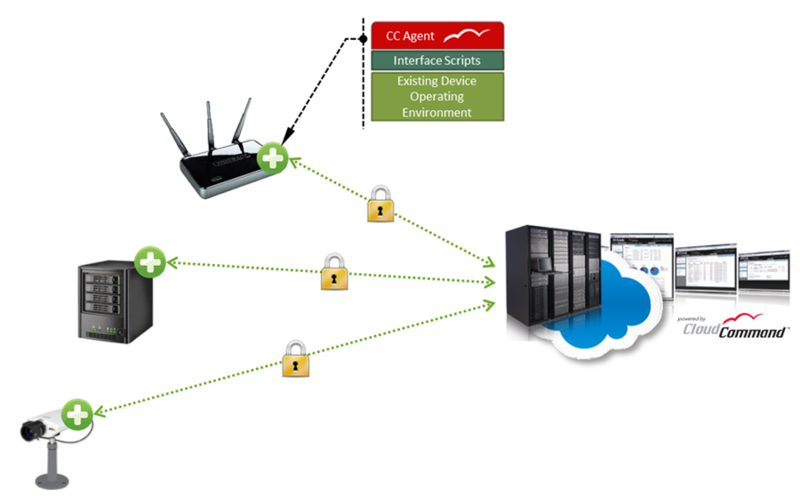 Device agnostic: It connects to the cloud any type of networking device. Integrates easily: Partners can independently integrate it into their devices with minimal effort. Dynamic: It adapts to the diverse feature sets of different devices. Small footprint: It accomplishes all its connectivity, security and access control duties while requiring only a few hundred kilobytes of memory. Self-updating: It automatically updates into deployed devices without requiring firmware upgrades as new features become available. Our CloudCommand online software platform provides everything needed to deploy, configure, secure and manage networking devices such as routers, wireless access points, VPN, switches, network attached storage and surveillance cameras. It offers an all-in-one SaaS environment for managing networks and provides administrators business-grade features and remarkable usability for a fraction of the cost of a traditional enterprise solution. Over the next several days, we’ll explore the four pillars of the CloudCommand technology. The platform initially came to market providing management features for access points and we’re now building new and exciting additional solutions. Here the four pillars, with more details to come! A small, sophisticated application on each networking device. It’s responsible for the secure and reliable connectivity with the cloud. A specialized protocol designed to reliably and efficiently establish and maintain secure communications between each controlled networking device and the management environment. A massively multi-tenant, multi-tier, multi role secure web infrastructure that can be hosted either in the public or private clouds, and provides the computing backbone of CloudCommand’s Virtual Controller service. A network management dashboard that provides anytime, anywhere access to configuration, control, management and process functionalities for the IT staff of individual companies, their resellers and managed service providers. Showcasing Our Partners: ZyXEL is a leading provider of broadband access solutions with a focus on high-performance, carrier-grade networking solutions. It works closely with MSPs and leverages our CloudCommand platform to provide revenue-generating Wi-Fi solutions to IT solution experts who serve the SMB market. 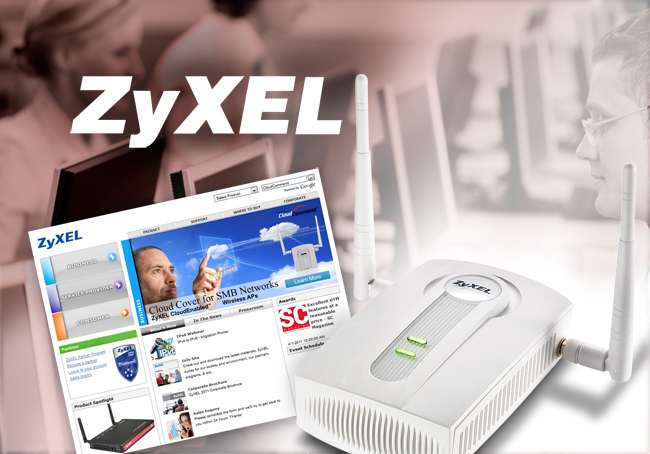 ZyXEL has a cloud-managed networking product line called CloudEnabled™ and its flagship product, the NWA1100N-CE Access Point, takes advantage of our technology to deliver enterprise-grade Wi-Fi at unbeatable prices. All-in-one Wi-Fi solution for any environment requiring robust, secure connectivity for 1 to 300 users. Real-time cloud management for third-party administration from anywhere. Strong opportunities for MSPs to develop a Networking-as-a-Service (NaaS) line of business and create recurring revenue streams.